It’s been 10 years since Google bought Android Inc., a startup that was quietly building software for cell phones. Rich Miner, a cofounder of Android Inc. and now a general partner at Google Ventures, tweeted early this morning that today is the 10-year anniversary of the deal. “People thought we were crazy when we acquired … Android,” Google noted in its most recent annual report. Tech media outlets were shortsighted in their guesses about the implications of the deal. Indeed, Android has come a very long way. The mobile operating system held more than 53 percent of all smartphone market share at the end of 2014, while Apple’s iOS had 41.6 percent, according to comScore. 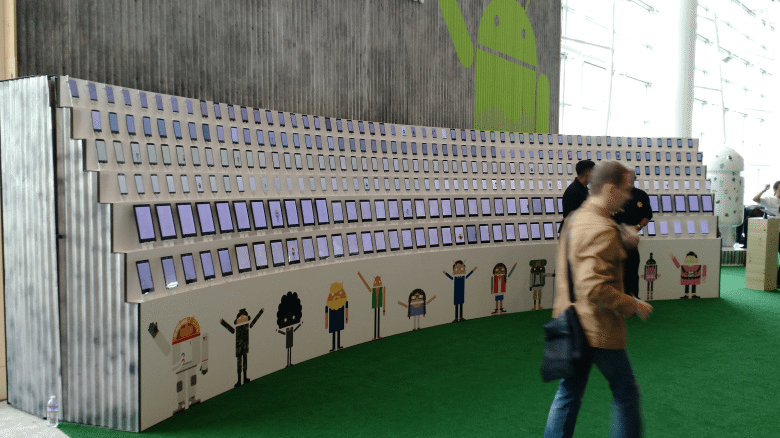 Globally, Android had more than 1 billion monthly active users in June 2014, Google said. More than 1.05 billion Android smartphones were shipped around the world in 2014, giving the OS 81.5 percent market share, compared with 192.7 million units and 14.8 percent market share for iOS, according to IDC. Put simply, Android has come to be the smartphone standard around the world.